This pack accompanies our Get Up and Move Phonics, but come with a free game to get you started. 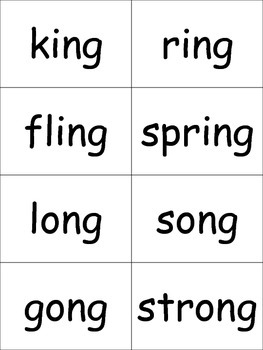 This set of cards contains 38 words to use with any of the games from Get Up and Move Phonics. These games are easy to make and store. Great for review, a time filler and PERFECT for subs. Please check out our other Get Up and Move Phonics packs. 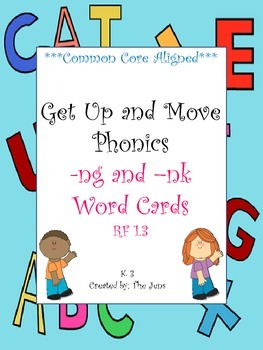 Get up and Move Phonics –Deluxe Pack It’s all here! You can’t pass up this price!